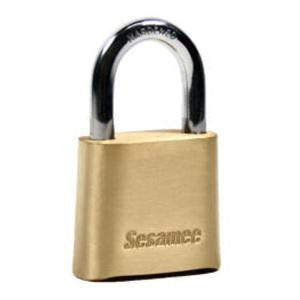 Bugler Sesamee Combination padlock features solid brass body with hardened steel shackle construction for strength and weatherability. It allows to reset to any of 10000 personalized combination of 4-digit. It is suitable for job boxes and gang boxes, utility meters, substations and cable boxes, tool chests and tool boxes, tool cribs, marine applications and lockers.